Good afternoon my lovelies! I'm sorry that I have been rather remiss in my posting since my return, but I have been very busy doing scheduled blog posts for when I am away again during September - from the end of August to the end of September - same place away from technology! However, I had received three Spellbinder dies that I had ordered and needed to do a test cut to see what they come out like. 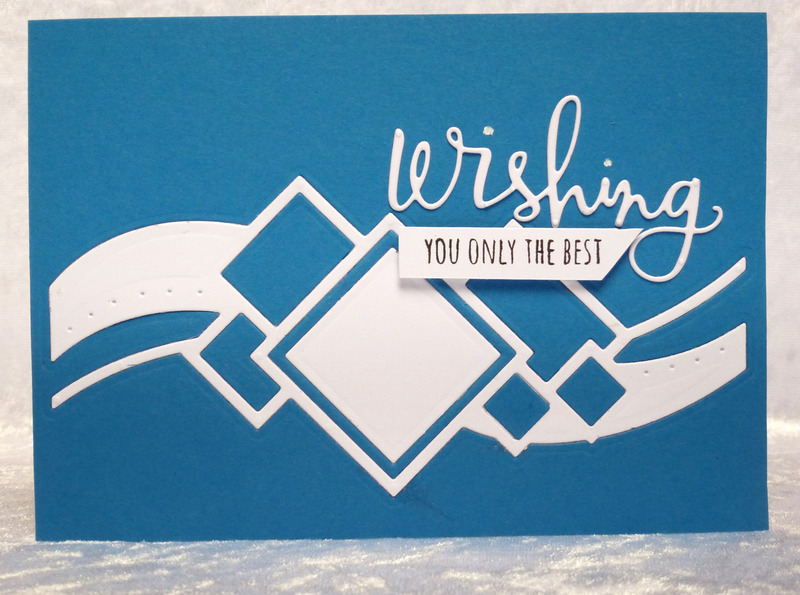 I cut all three out of different colours of card-stock and also, again in white as I wanted to use the negatives as well. 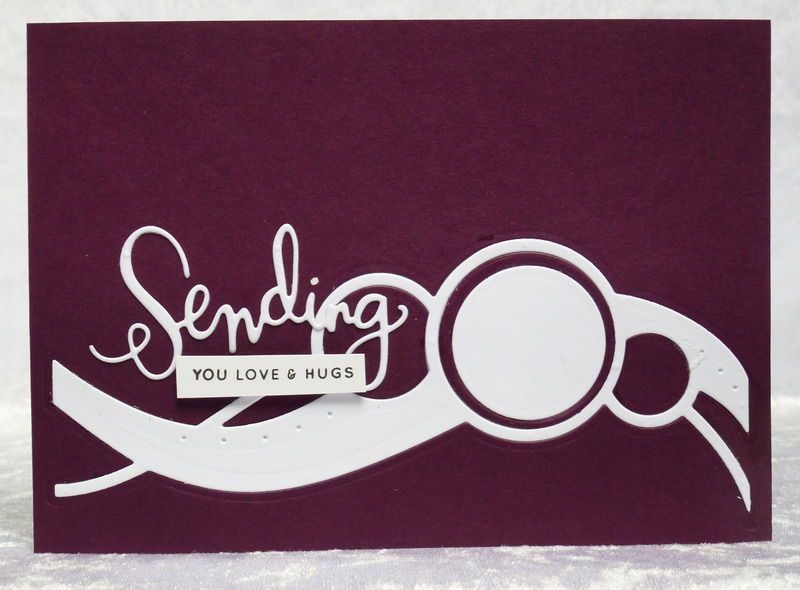 Then I added simple die cut sentiments and that was it, job done! Here are individual photos of each and then a 'group' shot. I am going to make a box for them, add some envelopes and donate them somewhere. Just love these modern and graphic cards! Don't have a favorite - the are all very cool! 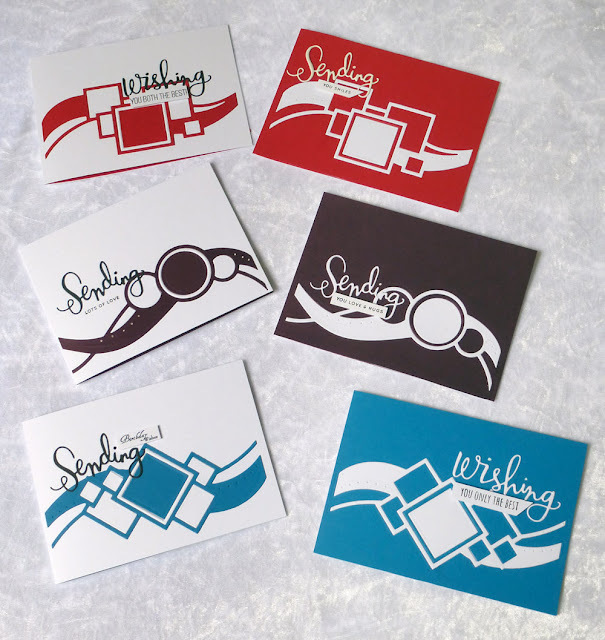 such neat cards - i love the circle one - i can see those done with primary colors filling in the negative spaces. WOW....stunning card set! I really love them all, I could never choose a favorite! 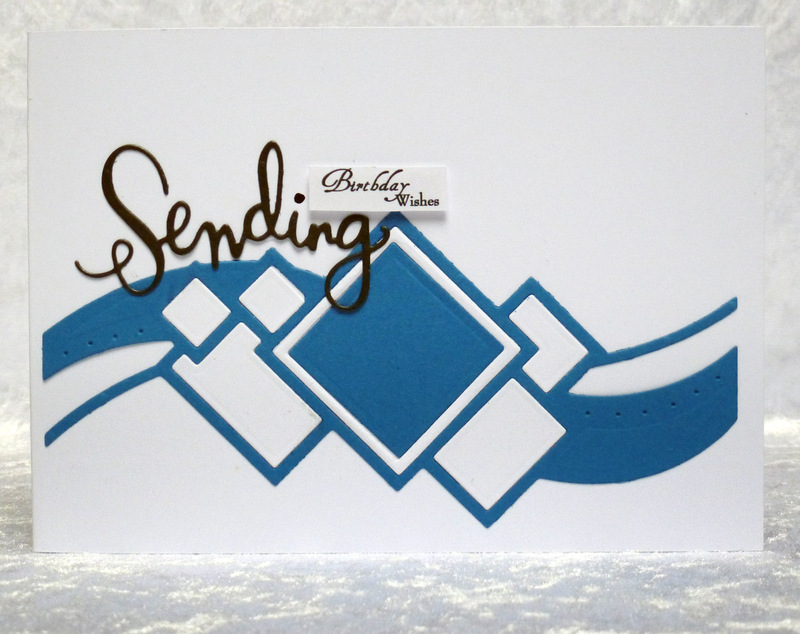 Love the bold colors you used too, really makes them pop! What a lovely gift idea Hazel. Love the circles, great cards my friend. But a great card. I do not I will point favorite, because all I like very much. Wonderful encrusting. 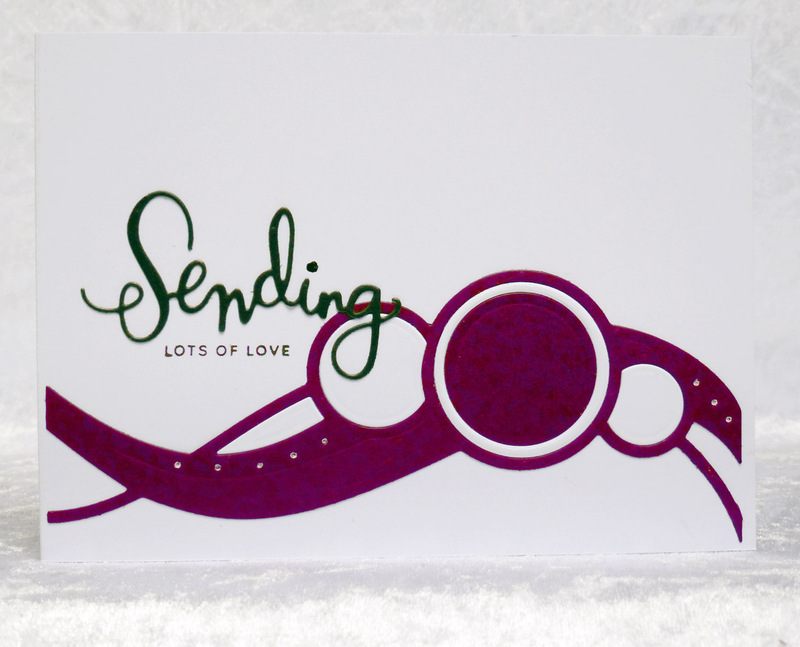 I love the graphic look to these dies and might have to go shopping :) Gorgeous cards! Wow,Hazel ! Oh my gosh these new dies and your cards are amazing! I love the bold crisp clean look of each one! Enjoy your time away from your PC ! Great dies that you've used to an amazing effect! 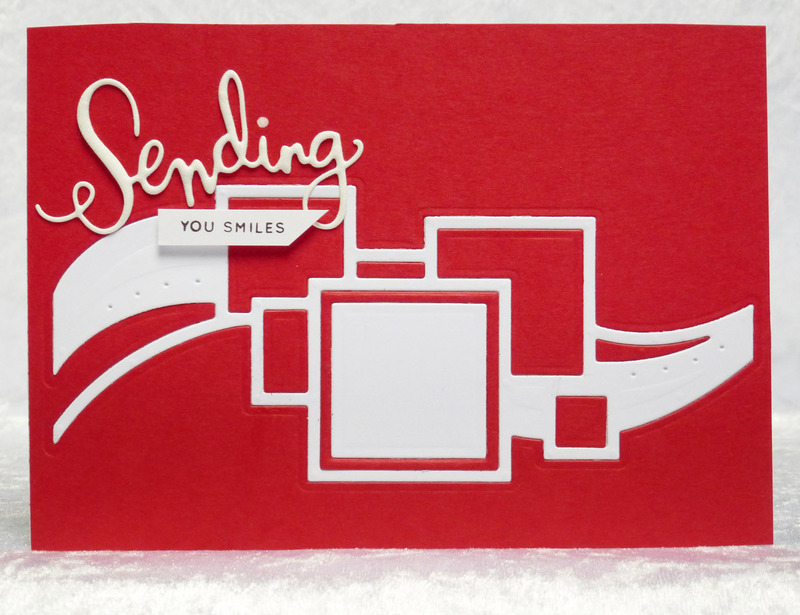 I especially love the red and white cards, for that is my favorite color combination. What fantastic dies, no wonder you wanted to use them straight away!! I love a lot of white so the white background with coloured dies looks so crisp and modern to me. Brilliant cards!! Wow! These are fantastic! I love the combination of bold colors and graphic shapes. WOW, Hazel, what fabulous graphic designs!!!! And the colours are so vibrant and lovely!!! 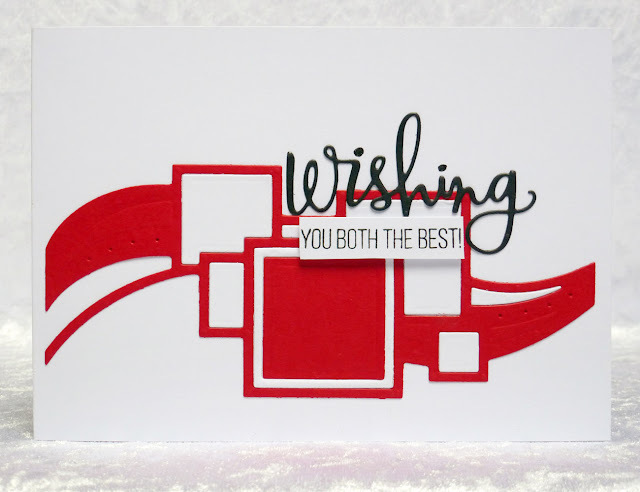 I love those stunning dies you have used!!!! Choosing a favorite ...that's hard, but I think I'll say it's the white and blue one saying 'Sending Birthday wishes'!!! What a stunning set of cards, my friend and what a great gift all neatly put together in a box!!!! Love it!! !